--Kevin, in order to tighten the ball joints, you'll need pressure (weight) on the control arms. This can usually be accomplished by placing a jack under the lower control arm, and lifting until the full weight of that corner of the car is on the jack. --Any 22mm wrench or standard socket will usually due. I prefer a racheting box-end wrench in order to make quick pulls. This technique will usually prevent the ball joint from spinning. In some cases, you may have to solicit a volunteer to sit on the fender, in addition to the jack, to achieve enough force on the ball joints to tighten the nuts. Should I install upper and lower arms loosely to spindle,with spring in,then apply pressure with jack to tighten ball joint nuts then? I never needed a crows foot, I just use a regular wrench. I find the early shop manual instructions and pictures are much clearer than the later ones. I’ve also never used a specialty tool for this work except the ball joint fork. New ball joints actually have a good bit of tension - I’ve found that as you tighten them they tend to stay put. If they start to spin I tap the bottom with a hammer (gently) and it tightens up enough for a few more turns of the nut. 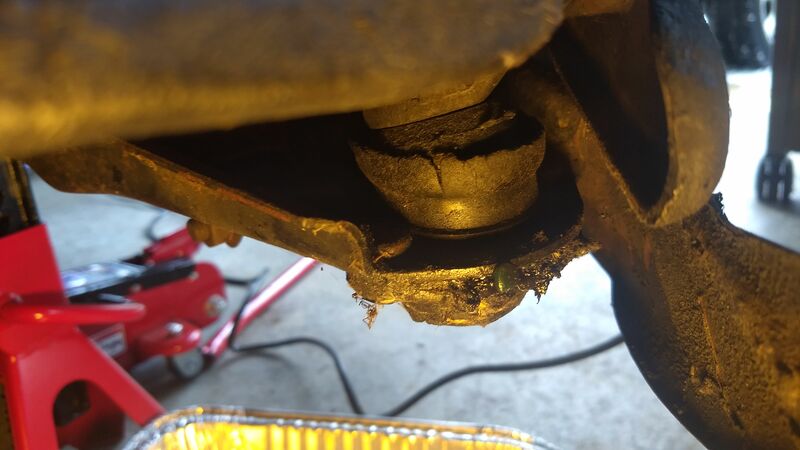 Another approach is to install the new ball joint or tie rod end with the original old nut. This seats the taper in place. Once the taper is seated remove the original nut and install the new lock nut. This has worked pretty well for me. To seat a ball joint or tie rod end, I use a pair of welding vice grips from the bottom of the a arm onto the upright to compress the taper and then the nut usually goes on just fine. I have had to keep the vice grip on there and then let the nut displace the leg of the vice grip to the side as it goes down the thread. I use the same vice grip to compress pistons into calipers (front ones anyway).